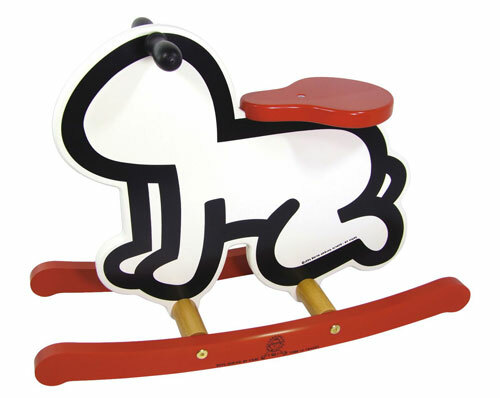 I suspect it wasn’t quite how the artist saw his work going, but the Keith Haring ride-on toy by Vilac is full licensed by his estate. This particular toy uses Haring’s ‘Baby’ with a seat, handle and rocker base for a child’s toy that also doubles up as a cool art installation for your little one’s room (or your living room if you really want to show off). Oh yes, just in case there’s any doubt about its authenticity, the Haring licensing details are on both Baby and base. All of that for £154.